Partner Appreciation GIVEAWAY – Day Eight! We're thrilled to be celebrating our friends at Jillibean Soup today! Since Jillibean Soup launched in the fall of 2008 we've been big fans! Colour, detail, design mixed with fresh, innovative and quality and you truly get an amazing company. We've work with Jillibean from the beginning including several of their designers and each season we impatiently wait to see what will be released next! At our recent trade show we fell in love with their new lines and know you'll see them in our fall issue. We also loved that when we told Jillibean Soup we were going to celebrate them, they were excited to celebrate our readers with this amazing prize – the Chit Chat Chowder collection from Jillibean Soup! Those layouts are AMAZING! Wonderful job everyone! Love the sketch. I am sorry I missed this one but will still have to try this one! AHHHHH love Jillibean! What a Fabulous collection! Would love to win this one! Keeping fingers crossed! I have tons of Jillibean labels and stickers and use them a LOT! This would be a great collection as fall is almost upon us. And I love sketch challenges – yes, make it monthly! Love all the takes on the sketch! When I get some time for papercrafting, I want to try that one. Love your cards, Kimber, as always. I can see this Jillibean collection getting lots of use for cards, PL pages, and “regular” SB pages. Awesome layouts and Kimber’s cards ROCK MY WORLD! Congratulations Gina on winning the sketch challenge!! Off to leave love for Jillibean SOup! I’ve always liked Jillibean but, lately, I have a new appreciation. The colors, the fresh ideas – they all appeal to me! Love this new collection! This collection is so amazing! Love it! The layout are beautiful! Makes me want to scrap all day! Fantastic layouts! Wow~! Thank you so much for sharing them! Fabulous collection!!! Love the cards that Kimber created!!! Congrats to Gina and wow Jillibean, yummy!! Wow, so much to see on today’s post 🙂 🙂 Gorgeous layouts based on that lovely sketch and the cards made with the Jillibean Soup collection are just awesome :). Jillibean Soup has long been one of my favourite mfger’s, they have such fun, bright and cheerful collections. I’m not sure why, nut I get so very inspired by admiring others’ beautiful layouts, the paper choices, the photos, the color combos, the details, I just love it! And then a chance to win that “Chit Chat Chowder” pack…how cute of a name is that?! Great layouts, great cards and a great prize. What beautiful layouts based on the sketch. Congrads to Gina! I just love Jillybean Soup. Just love the beautiful cards Kimber created. Love this! Thanks for the great inspiration! Cute collection! Thanks Jillibean Soup for this wonderful giveaway! Birthday boys layout is my favorite. Love the colours and small patterns. Nice layouts, and good prize package. Thanks for the opportunity to win. Amazing inspiration and another great giveaway!! Thanks for sharing! Love the dog with the glasses! So many fabulous layouts! I love the wedding one!! And I love Jillibean Soup!!! Chit Chat Chowder is such a great new collection!!! Amazing layouts! And love the card inspirations from the partner today! Great layouts! Jillibean Soup rocks! I love everyone’s creations using the sketch. I brought my magazine with me camping last week and used the sketch to create a layout for a baby album I am working on for friends of mine. I am a HUGE Jillibean Soup fan and would love to play around with these new products!!!!! this collection is so “useable” for everyday. great giveaway! I lost my fur baby last week. I see in the collection. The layouts are great, I also love the cards, so very creative. Chit Chat Chowder collection from Jillibean Soup looks to be another winner and one that would be so welcome in any craft room. Thanks for this chance to win such a generous prize. Congratulations to the winners of the sketch challenge. Love the cards made from the Jillibean collection. The colors look lovely. Fabulous layouts and another wonderful prize today. Especially love Ginas wedding page and Cynthia birthday boys and Karlas baseball page. Congrats Gina on winning the layout challenge! And yes please to monthly sketch challenges! The Jillibean Soup collection is just awesome and the cards Kimber created are gorgeous!! This makes each day exciting to see what comes up for grabs. Thanks for all the fun from your sponsors. Jillibean is one of my very FAVES!!!!!!!!! Gorgeous! Yes, definitely make the sketch challenge a monthly thing! The collection and cards are fabulous! Love jillibean! Very creative layouts and congrats to Gina. Wow, those layouts are gorgeous! Love Jillibean Soup and Chit Chat Chowder is such a cute name for this collection. Great layouts. I love Jillibean Soup. I can’t seem to find it since there are no close scrap stores anymore. It would be great to win this. I love me some Jillibean Soup! Thanks for the chance. Always love Jillibean Soup! I love the cards! Could see me using this collection for cards. Thanks for all the ideas. Great layouts and giveaway,Jiliibean Soup is an everyday look at their blog for me!. Love everything about this line. Thanks Jillibean Soup. These cards are adorable! Great giveaway – thanks Jillibean Soup! Awesome layouts and congrats to the winner! Love the Jillibean collection. Lovely colors and the designs of the cards are so fun! Very nice pages and another awesome prize! Thanks for the chance to win! Cute designs. Thanks for the inspiration. Yay! Thanks for including my layout in this post. I used Jillibean Mushroon Medley on it – yes, I’m a big fan! I don’t have any Chit Chat Chowder yet. 😉 Thanks for he chance to win Jillibean Soup! The Large & in their collection jumped out at me because we will be celebrating our first wedding of my children next year! Love the colours also! Fun collection–love the cards Kimber made! Thanks for a chance to win! Very cute cards with the Jillibean Soup collection. Thanks for the chance to win this wonderful new collection. I love Jillibean Soup! The colors and patterns are just perfect and every time they have just the paper or embellishment I need! I forgot to press post before I exited, so lets try this again lol. Jillibean Soup rocks! TFS! great layouts! A cute and whimsical collection. Great card samples. I love these cards. Great inspiration. Amazing lo’so! Thanks for the chance to win!! Fabulous layouts….Wonderful Jillibean Soup goodies….the card collection is very inspiring!!! That collection is so cute! I love the colorful chevron. Fabulous layouts! Love the Jillibean Soup collection! Jillibean Soup is amazing! LOVE THEM! Love all the color combos! Great sketch and I love all the rakes on it! LOVE that Jillibean collection! Thanks for the chance to win! What wonderful layouts and a great giveaway! Love the collection – Jillibean soup has done it again 🙂 thank you for such a great prize package ! Gorgeous cards and beautiful products. Love this industry. Thanks! Jillibean soup has the most fun colors and patterns. Even better are the names of their papers!! They always make me smile! !Left them some love on fb! Another beautiful collection by Jillibean Soup! Would love to win this :). Thanks so much. What a great kit, love the bright, fun colors!! Love all the layouts! It’s always interesting to see a sketch and then see how everyone makes it their own. Love the collection from Jillibean Soup, as always! Awesome products. What a cheerful collections! Love the colours and images in it. Great for my summer photos! I love these colors! Would so love to win this collection. Gorgeous layouts and cards! Thanks for the great sketch. This would be an awesome giveaway to win! Love these beautiful projects! There is so much talent. I am loving all the opportunities for prizes. Thanks sooo much! Jillibean Soup is always my go to when I scrap, the papers are always so versatile and the new collections do not disappoint. The layouts are great! Love Jillibean Soup! Their collections always have such cute names!! This is such a great post. I love all the entries to the challenge. Glad I didn’t have to pick a favourite. Those cards are awesome and the giveaway is fantastic. And yes, have a monthly sketch challenge! I love this collection! I have so many project ideas in my head! What great layouts and what a great collection. Thank for the contest and supporting SCT. Jillibean soup always has such nice products. Congratulations to the sketch challenge participants and the winner. The layouts are fabulous. As to Jillibean Soup and their amazing designs. Love Kimber’s cards and this is one of my favorite collections because every time I hear “Chit Chat Chowder” I get hungry and want chowder. Love the colors and designs in this collection. What a fun collection! So many Possibilities! Thanks Jillibean Soup for this wonderful give a way.I would love to win this collection .I just lost my best friend and companion of eight years.I rescued her from the shelter and I am at a terrible loss.So I am making a scrapbook and some of these items I could use in her memory. Thanks for the chance to win. Great layouts, thanks for the inspiration!! Love Jillibean Soup, thanks for the chance to win!! I love the prize and love the cards. Congrats to the sketch winner – a lovely layout. That Jillibean Soup collection looks fabulous! Thanks for a great partnership for your giveaways. Congratulations to Gina, wonderful layout! And to all the other layouts “just lovely”. Great giveaway…I love Jillibean Soup! So fun designs. Would love to try some Jillibean stuff. great collection and great giveaway!! wow—great layouts!! Thanks for the chance to win some Jillibean Soup yummies!! Beautiful layouts! And thanks for a chance at the giveaway! Gorgeous design, I love the color combination! Looking forward to scrap somethibg with this collection! That looks like a great collection from Jilliebean! Love the cards, too. Thanks for the chance to win! Thanks for the layout inspiration and chance to win! Some great layouts, love the giveaway! These layouts are so awesome! I love, love, love, this Jillibean Soup collection, Chit Chat Chowder. Thanks for the chance to win! I love Jillibean Soup! I love the bright happy colors! It would be great to have the sketch challenge every month! Love Jillibean Soup! Such cute collections and this one is no exception. Thanks for the chance to win! Jillibean Soup products always have the most interesting names on their products. Not only that, they’ve got great designs and I always enjoy seeing their layouts! Thank you for sharing my layout! That Jillibean Soup collection is so pretty! I love the cards, so fun. Chit Chat Chowder Collection is one of my fav Jillibean Soup lines, I’d love to win it. I love the fun bright colour of this collection…thanks for the chance to win! I really enjoyed seeing all the great layouts from the same sketch. I would love to win the Chit Chat Chowder collection from Jillibean Soup! So cute and such great colors! Thanks for the opportunity to win this awesome giveaway. Awesome layouts! Love the details! Yay for JBS! One of my faves! Wonderful papers with great colours and pattern! Can’t wait to try some of the sketches! love the cards. great collection jillibean soup! I’m a big fan of Jillibean Soup! Love the colours in this collection. Thanks for the chance to win! Love the pages created from the sketch. Glad that I wasn’t the one that had to pick a winner. Not sure if I could have. Jillibean Soup is always one of my favourites! LOVE Jillibean Soup and this collection is absolutely fabulous. Fabulous layouts for the sketch challenge! Awesome product! Would love to use! I love to see the layout ideas and what a fun sketch! Have always liked the Jillibean products! That’s adorable! Love the color combo on the last cards, so pretty! Chit Chat Chowder is an amazing collection! I love the cards. Jillibean Soup always has great products. Cute ideas! The collections looks wonderful! I love the idea of a monthly sketch challenge!! And this Chit Chat Chowder collection is fabulous! Love these layouts, they’re so creative! Jillibean Soup Chit Chat Chowder collection is amazing 🙂 I hope I win! I love this collection from Jillibean Soup….the blue is stunning. Fabulous layouts ladies and Amazing Jillibean Soup prize. Such great layouts. I would love to win. Thanks for the chance. Love to start with a sketch and what cute cards made from little bits and pieces! Such cute cards! Thanks for the chance to win. Jellybean Soup has been a favorite of mine for many years! All those chowders are fun! Love the colors in that collection! What a joyful collection! The sketch is inspiring (nice pages)! Awesome card ideas!! Thanks Jillybean! I love Jillibean , those cards are cute cute cute! Thanks for a chance to win. Love love all the layouts and inspiration! thanks so much for the chance to win! How cute and colorful! Jillibean is fabulous. The colours are great and all the little characters have really caught my attention! Love it! What a super cute collection from Jillibean Soup! loving those card samples!! Thanks for the chance to win!! The layouts are beautiful! 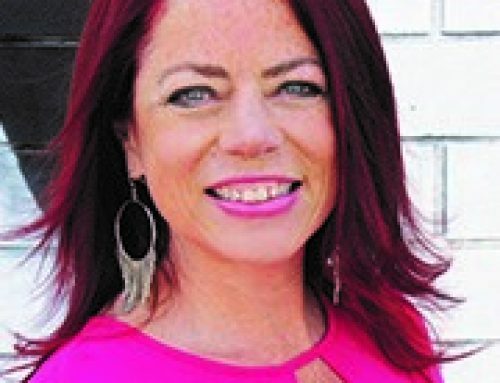 Congratulations Gina! Your pictures are beautiful! The Jillibean collection is so cute!!! I love the puppy!!!! Cute cards. Thanks for all the inspiration! Fantastic layouts, this is some fun stuff! Great collection. Thanks for the chance to win. Oh how I would love to win this Chit Chat Chowder! Such cute paper and embellishments! Great collection. Thanks so much. I would love this prize!!! Jillibean Soup is always a favourite! Love, love, love that cute little doggy!!!! Thanks for the chance to win some yummy goodness! Beautiful layouts! Thanks for the chance! What a cheerful collection. And I always love Jillibean’s kit names. “Chit chat chowder” makes me giggle. Such beautiful layouts and talented readers! !And those cards, sweet! And what a great selection of products for this giveaway! Thanks Jillibean Soup! I love the new Jillibean collection. Pops of color, flowers and dots! What an awesome collection to remember the everyday. As a part of my mindfulness, I am trying to appreciate the little things – this collection is a perfect match for that! I find this collection so bright and fun. Really neat cards by Kimber! Wow! I love the cards she made. So beautiful and unique! Can’t wait to use her ideas in my own. Thanks for always sharing so much wonderful inspiration! I say yes to making a monthly sketch challenge! As for Jillibean Soup, they are one of my all-time favorite companies. I love their colors, their style, and the names of their collections and papers! Cool beans! Great cards and layouts! I love this collection! Such neat colours and patterns! I love the card designs, Jillibean Soup! 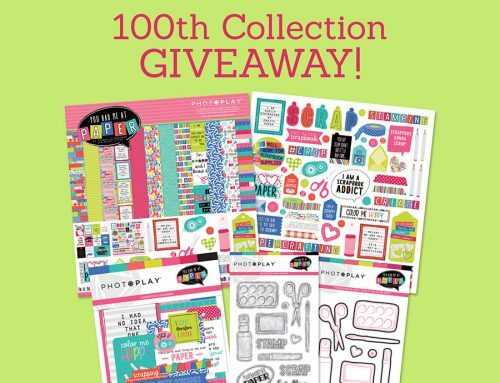 I love the colours and the graphics included in the Chit Chat Chowder collection–what a great prize opportunity! cause I hope to win Hello Fall! What a great prize! I would love the chance to win! Thanks Jillibean for some amazing card ideas! Thanks for the chance to win! Jillibean Soup has lovely items. Great layouts done by all! Love Jillibean always! Fall and Simple Stories! Perfect! I’ve always loved Jillibean Soup and this collection rocks! Cards are awesome. Jillibean soup is the best. So bright and cheery! Thanks for a chance to win! I don’t have any Jillibean Soup collections but this looks like a fabulous one! Thanks for all the fun giveaways. So many great layouts from one sketch…..Yah Jillibean Soup! Love this line & would love to win. Thanks. Those are beautiful. I would love to ude some of them in my scrapbooks. Jillibean Soup is just so much fun! Thanks for the chance to win! Love the Jillibean Chit Chat Collection and all the great samples you’ve shared with us! I’d love the chance to use it for my books and card making! Looks like a yummy collection from Jillibean Soup! What a cool collection and I love the cards made from it! This is a great prize! Congratulations to the designers of the beautiful layouts, very talented! Love the Chit Chat collection, the colors, patterns, embellishments, are harmonious and fun. Kimber’s cards are gorgeous. They are supreme examples of how to be brave and mix and match patterns and elements when working with such beautiful collections. Cheers! Oh my, that dog with glasses really caught my eye with this adorable fun collection. I can’t believe I don’t have ANY Jillbean soup products, and I love them so! Wow! Amazing layouts!!!! Thank you for another beautiful giveaway!!! Wow, you have some super talented readers, great entries to the sketch challenge! Love the Jillibean soup giveaway, such a fun collection! Wow, such a fun line…and anything that includes a coffee cup, is a sure winner for me!! LOL Would love to win this lovely prize! Oh wow, thanks for featuring my layout. I love that sketch, it’s so versatile. Thank you also for sharing this collection from Jillibean Soup. I love the colors. spectacular cards made from this Jilibean Soup line! Jilibean Soup rocks – Would love to win this beautiful giveaway. Thanks for the opportunity to win it. Nice mix of colours and add ons. Jillibean has done a great job. Looks like a great collection! Thanks for the chance to win! Great job. Always love checking out what’s happening. Thanks also for the chance to win. Love the collection. Thanks for the chance to win. Love all the layout samples. I get very inspired to get back to scrapbooking when I see them. All those products would be very well used in my crafting area. What a fun collection! Love the name too! I love the layouts. Some very creative people out there. Thanks for the chance to win. Cute collection! Love the colors! Thanks for the chance to win! Great collection! Jillibean Soup is fun & happy! Loved Jillibean Soup for years, so much fun stuff. Those sample cards are so lovely, just like the collection! This collection is super cute!! Thank you for the chance to win! I love all the layouts! What a great giveaway! Love me some Jillibean! In fact, I used “Mushroom Medley” for my entry in the sketch challenge ? Thanks, SCT and Jillibean, for this giveaway! Jillibean Soup has gorgeous collectionso! Thanks for the chance to win! Jillibean really suits my style of cardmaking and scrapbooking! I would love to win this collection!Thanks for the chance SCT! I love celebrations and free gifts! Thanks Jillibean Soup! Love those bright colors!!! Thanks Jillibean Soup!!! 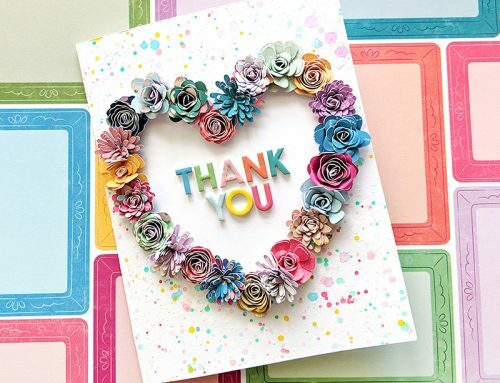 and Thanks to you, Scrapbook & Cards Today for the chance to win!!! Love this new collection from Jillibean Soup! Tons of inspiration today! Thanks for another great prize. Amazing and creative collection! Thank you for the awesome giveaway! Love the collection and also the inspiration projects, thank you! Love all things Jillibean Soup! This collection is so cute. I’m loving all the elements of the chit chat collection! It’s beautiful!! Fab layouts – congrats to the winners and wow, such a cute collection by Jillibean Soup. Many thanks for the opportunity of winning this delightful prize. Always love me some jillibean soup!!! I’m a fan! Hope to win the giveaway. Thank you for the chance! Oh my gosh. I just got some of the new shaker series dies/stamps/cards from jillibean soup and I am in love! Awesome giveaway! Love Jillibean soup! One of my top-fav go-to brands! Chit Chat Chowder from Jillibean Soup is so cute. The card samples are great inspiration! Thanks for the chance to win. Absolutely love the sketch! It’s so hard to find sketches that are simple with 4×6 pictures. And the Jillbean soup stuff is adorable! Jillibean has been catching my eye with their cute designs for a while now. I would love to win some of their collections! Much love for the bright, fresh colours and that cute dog with the glasses. Thanks for the chance to win. Awesome ideas, I can always use help with designs, and these are perfect! I’ll be chit chatting about that prize and the lovely partner. Thank you for giving one of us a chance to win some of your collections. I like the cards you have made from the collection. I love the colors and fun Fall patterns in this collection! Adorable products – thanks for the chance to win Jillibean Soup! Amazing layouts! This is such a bright collection! What fun! Really cute cards with this collection! Great giveaway! Thanks! Chit Chat Chowder from Jillibean Soup is an adorable collection! I have several summer pictures of my dogs that need to be scrapped and this collection would be perfect! Love the cards made from this collection and love SCT for giving us a chance to win! Great layouts and jillibean prize – love it all! Oh my gosh! Such cute stuff! Thanks for sharing all these goodies and these good ideas! Great layouts! I love all the bold colours! Love the card collection – so fresh! Great layouts! Love Kimber’s cards, especially the dog. Thanks for the great giveaway! these papers and embellishments are gorgeous! Really loving this collection by Jillibean! And I spy a coffee cup. Bonus! Thanks so much for sponsoring! Love Jillibean Soup! Great prize. Wow great projects! Always love Jillibean Soup! Those are absolutely beautiful cards! I’ve been a fan of Jillibean Soup since their debut. Glad to see that they are still going strong. I could def make some layouts with this collection. Thank you. Great layouts – thanks for the ideas! Jillibean Soup’s designs are always on top of the trends. Love the pineapple and colour palette. Oh, and that gorgeous ampersand! Thanks SCT and Jillibean Soup! This company has some great supplies. Would love to make them mine. Lovely collection, the colours are all so vibrant. Thanks for the fun and the chance. Thanks Jillibean Soup! This collection looks yummy! oh how my kiddo would drool over that adorable pup! this is an awesome prize! Thank you for the chance to win! Love Jillibean Soup … the colors are amazing! Such an awesome prize! Love the style of Jillibean Soup! Thanks for the chance to win! Really great layouts. Love the dog with the glasses, he’s awesome! 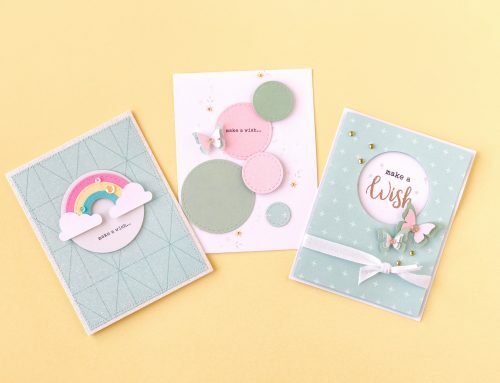 Super cute cards that Kimber made with this collection – love the bright colours! I love Jillian, such fun products, thanks for a chance to win. Love Jillibean Soup. The cards created with this collection look great. Love this collection! Thanks for the give away! I really like Jillibean Soup and their products. What cute cards. Thanks for the chance to win. This collection is gorgeous! I especially love the dog with the glasses. Great giveaway!! Super cute cards! Love Jillibean a Soup! Wow, I loved looking at all of the LOs! Just gorgeous! Congrats also to your sketch winner! I’m super excited about your Jillibean Soup giveaway! What a wonderful collection! Thank you! Love the patterns of Jillibean Soup and LOVE SCT too! A great collaboration! Just love that beautiful collection! Thanks for sharing Jillibean Soup! Great layouts!! Fabulous collection Jillibean Soup! Would be fun to play with this one! Thanks for the chance! So many ideas for this giveaway! The cards are great. Jillibean Soup and ChitChatChowder how fantastic!!! Jillibean Soup has so many wonderful collections. I have made many a mini album with them. Great designs, great colors! Thanks for supporting SCT! Great layouts and a huge pile of wonderful as a prize!! AWESOME LAYOUTS. Thank you so much for the chance to win! This is one of my favorite collections , so whimsical and I adore the color combination. Would love to play with it!! Great layouts and I just love the new Jillibean Soup collections! Such fantastic layouts! LOVE them all! Such a wonderful bright collection. So many things I could do with it. Chit chat chowder may be my new favorite “soup”! This is my first time here, but I’ll be back. I love scrapbook challenges and your sketch was fabulous. I look forward to participating in the future. And I sure hope i win the chit chat chowder collection. It is fabulous — colors and die cuts are so cute. Oh how I would love to win this cute collection from Jillibean! It would make me smile every time I used it! Jillibean Soup makes incredible products!! I have loved and used JB Soup for several years now; I love their embellishments! I know could do some great cards with this lovely prize. Thanks for the opportunity to win. Congratulations Gina – and beautiful layouts ladies!!! Wow – I would sure put that Jillibean Soup Chit Chat Chowder to good use here in CT.
Beautiful card samples. Thanks for a chance to win. Jillibean has wonderful products. Love all the collaboration. Love all of their products. Thanks for this wonderful give away. Just love everything about Jillibean. Wonderful products as always. I love Jillibean Soup! They have such cute collections in lovely bright colours! I’m a big fan! Love Jillibean Soup and it’s almost impossible to get where I live. Thanks for a chance to win!! This is such a fun release from Jellybean! Love the fun colors! Thank you for the chance to win. Love this new JB collection! Wonderful layouts and fabulous collection. Thanks for the chance to win. Jillibean soup is always so colorful, and has such adorable images!! Love these inspiring cards, especially the adorable puppy! Thank you for the chance to win! I love Jillibean Soup! Looks great. Would love to win. 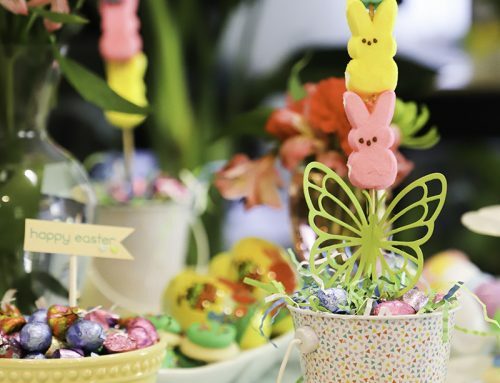 love Jillibean Soup products – they are so versatile and pretty! Jillibean Soup has amazing layouts. Love it! Amazing collection! Thanks for the chance to win! Love Jillybean Soup thanks to C&C projects! Thanks for partnering with SCT for the giveaway! Jillibean Soup is so fun! Love the layouts in this post! Great cards too. Jillibean is one of my favs. Love this paper!the cards r just adorable! What an incredible collection. I love Jillibean Soup. Great collection…gives me so many ideas. What a cute collection! Thanks for the chance to win! Jillibean is awesome whether you’re a scrapper or cardmaker! So fun! Love the Simple Stories collections, thank you for this giveaway! Love the layouts. Will make some awesome cards with this collection. Wow, so cute! These die cuts are to die for 😉 see what I did there? Love this collection! The colors are gorgeous. Thanks for the chance to win! I love your ideas for your scrap book pages. waaaay adorable – love Jillibean soup! Love this collection. The possibilities are endless. Thank you for the awesome giveaway & ideas. I LOVE sketch challenges!!! I missed this one, but will definitely be looking forward to the next one! Great prize from Jillbean too! Great layouts and collections. Would be able to do so much with it. Would love to win. This is such a cute collection, Jillibean Soup is one of my favs! It’s so much fun to see how different people interpret the sketch – all the layouts are awesome! Thanks for the FANTASTIC prize today from Jillibean Soup, they can always be counted on for fun, colourful collections! Hoping to be the winner of this beautiful gift. Thanks so much Jillibean for the opportunity to win such a wonderful giveaway. The Chit Chat Chowder collection looks awesome. Jillibean Soup is wonderful! Thank you for the opportunity to win!! Great layouts an could use some Jillibean Soup products! Fabulous layouts and sketch! I can’t wait to try it. Thanks for the fun chance to win too! Oooh this collection looks like fun! Those cards are adorable. Thx for the chance to win it! Adorable layouts and cards. Nice giveaway. Thank and good luck to everyone. I have never used any Jillibean Soup products, but I have seen some this year that I really like. Would love to try these out. I love to scrapbook also. Would love to win the Chit Chat Chowder Collection. It’s wonderful. I love the baseball layout in the sketch contest. What a great giveaway! Thanks for the chance to win. Lovely layouts and The Cards from Chit Chat Chowder Collection are just amazing. Thanks for the opportunity to win this beautiful Collection ! such an amazing collection to win. Thanks for the chance to win. I love Jillibean. great colors great designs!